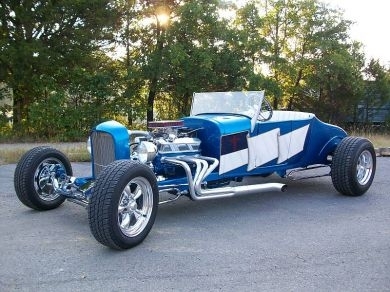 Spirit Cars offers many different Model T kits and stages to fit your budget, taste and wants. We can add, subtract or sometimes customize the kit if need be. We offer from rolling chassis's to stage 3 kits to our super kits. The super kits are our most complete kit offering everything you need minus the motor/transmission, wheels/tires, drive shaft, glass for windshield, fuel cell and any little accessories you may want like seatbelts, mirrors, and etc. Kits ship truck freight or you are welcome to pick your kit up at our location. If you can get your kit shipped to a business or pickup at nearest truck freight terminal that will be the cheapest route. Kits can be shipped to your home but you will pay between $100-$200 more depending on location. Our online shopping cart will not calculate shipping so you will need to give us a call at 870-425-5900 or send us an email spirit@spiritcars.com and we would be happy to get you a shipping quote. Spirit Cars offers the most complete t-bucket kits on the market today. Titling is available with our kits. Spirit Cars offers from the 1923 t-bucket, 1927 Model T Roadster, and 1923 C-Cab delivery.